If you are interested in US Maritime history and heritage, you owe it to yourself to visit Port Townsend, Washington. 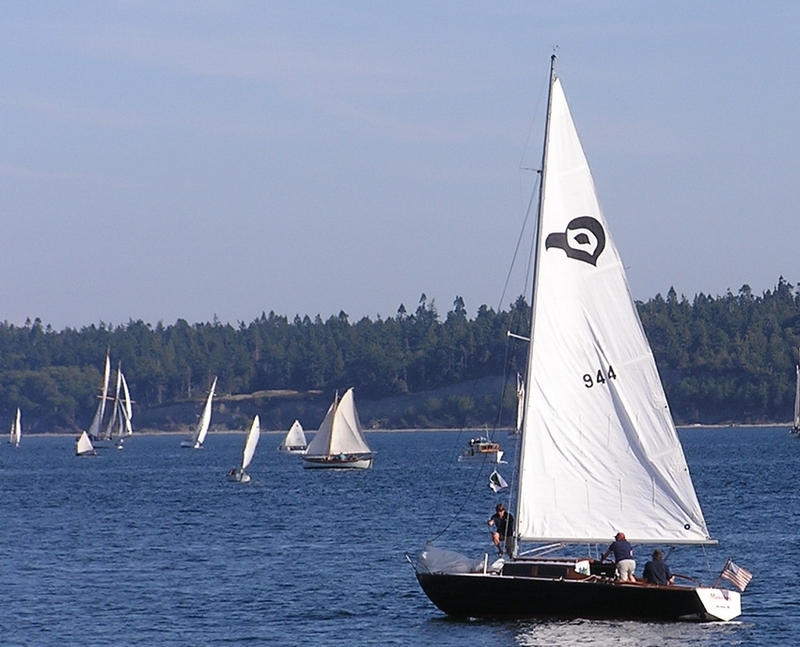 Port Townsend is located 56 miles NNW from Seattle and sits on the waterfront of Port Townsend Bay in Puget Sound. This unique village is known for its sense of community and a lifestyle of “salt water hippies” focused on boats and the sea. 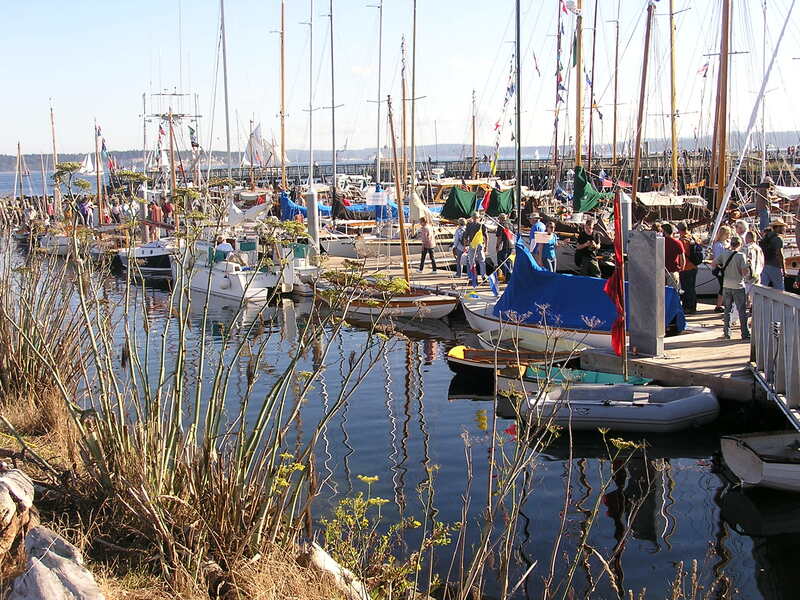 Port Townsend is also the home of the oldest and largest Wooden Boat Festival in the Pacific Northwest, perhaps in the US. Truly an international event, the festival becomes features as many as 300 wooden boats from the US and Canada during the first week of September each year. These photos show a good overview the busy harbor on a gorgeous fall day this past September 2013. To celebrate and preserve traditional maritime skills, heritage, culture and marine trades through education and community participation in the joy of wooden boats. 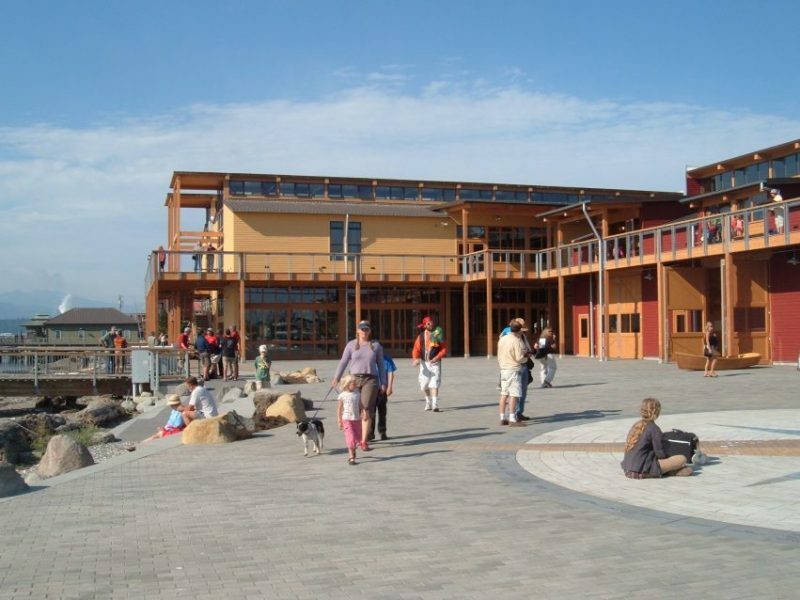 The implementation of that mission is anything but simple, taking untold hours by hundreds of local volunteers who raise the money necessary to fund the Maritime Center’s many programs including the Festival, the Wooden Boat Chandlery, a boat shop, the H.W. McCurdy Library, and conference and classrooms. Gougeon Brothers, Inc. has participated in the Wooden Boat Festival for many years now, returning year after year to promote West System epoxy, answer specific questions from those attending the festival, and visit the many friends we’ve made over the years. For the last few years, we have shared our tent with a very good friend, Russell Brown who owns and operates PT Watercraft. Russell builds and sells innovative, quality boat kits—all of which he has designed himself. 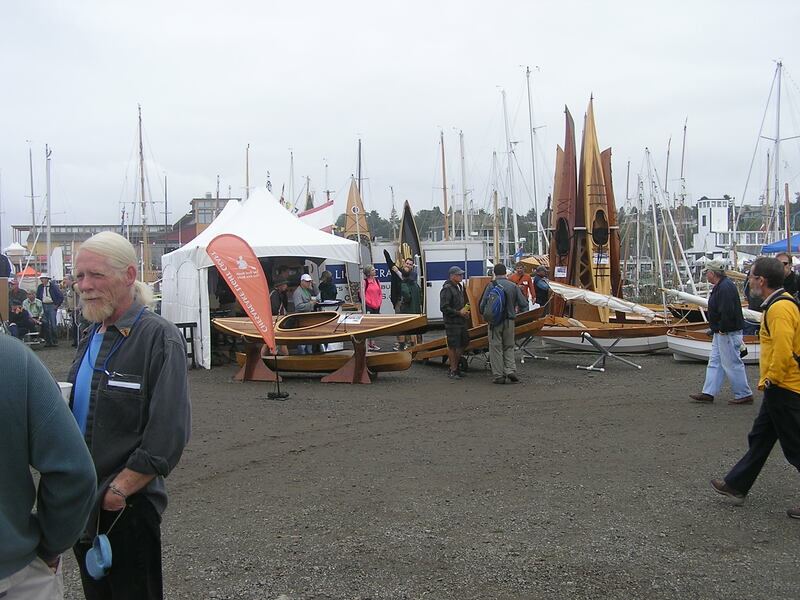 Both the boats he brought to display, the PT 11 Nesting Dingy and the PT Spear Dingy, drew a lot of attention and attracted a constant flow of Festival attendees to our tent. Of course, Russell is a WEST SYSTEM man through and through as was his father, local legend and innovative multihull designer Jim Brown. Another of our friends who attends this show year after year is John Harris and his crew at Chesapeake Light Craft. CLC is the leading boat kit supplier in the US. Another fun aspect of the festival is the opportunity to make new friends and contacts. 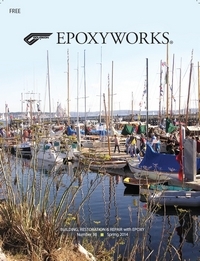 Although there are plenty of traditionalists at the festival—folks who are loathe to even mention epoxy in the vicinity of their boats—there are plenty of wood/epoxy boats built with West System to inspect. Most are one-off projects built by the owner. I really like talking to these people because they are proud of their accomplishment and love to chat about their true love, this boat they built. Reg Miller is just such an individual. I spent some time chatting with Reg and his wife (never underestimate the importance of “the significant other” to any boat build even if they never pick up a tool!) 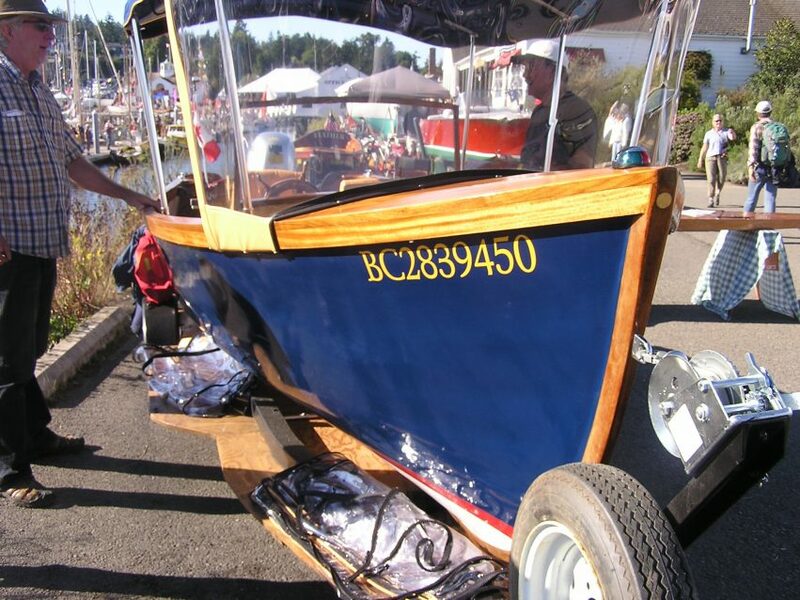 about the Jericho Bay Lobster Skiff he built from plans he bought through WoodenBoat magazine. 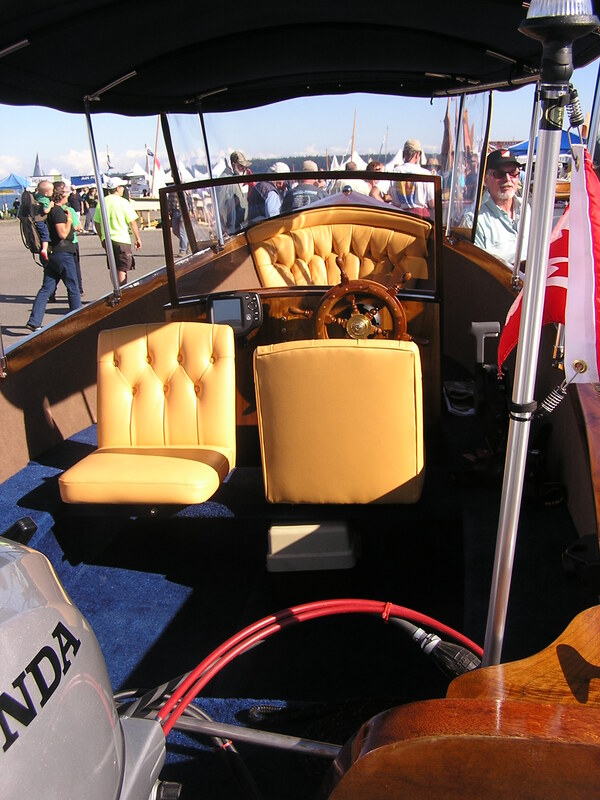 It is a beautiful strip-built skiff using yellow cedar strips, mahogany trim, and walnut for the deck—all using West System epoxy. As you can see from the photos, with the custom interior and canvas I am certain this boat will never see a lobster pot. I am also certain they will spend many relaxing hours tooling about their home waters of Anglemont, BC, Canada. Another interesting couple I met and talked to was “Bob Marley and Lady Gaga” who have designed and built a unique canoe/kayak hybrid they call a Wahnooyak. The bow is styled after an Ojibwah canoe and the stern is an enclosed kayak style shape with plenty of watertight, enclosed space for camping gear or touring gear. The bow area also includes a watertight compartment for additional buoyancy in the event of a swamping. I watched “Bob” paddling his creation during the parade of boats that is a great end to the festival, and was impressed with how easily it paddles and tracks. They also build what I think are the lightest and most beautiful hollow wooden paddles I have ever held. “Bob and Gaga” say these paddles are also very durable. 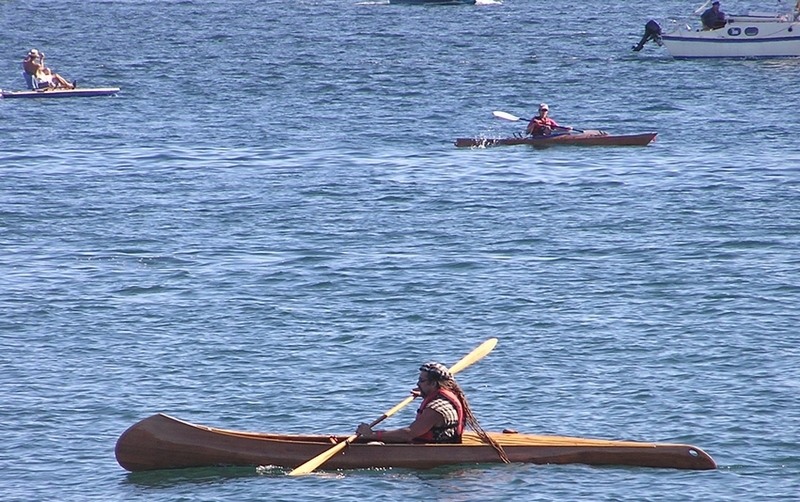 Here’s “Bob” paddling along the shoreline during the parade of ships. The Wahnooyak moved easily and quickly through the water. Hari Heath paddling along the shoreline during the parade of ships. The WAHNOOYAK moved easily and quickly through the water. The moderate but ample rocker, plus a fine bow entry and stern exit make the design stable and able to track very nicely. A couple of hearty souls after my own heart. That’s their beer dinghy they are towing, loaded with a tapper keg. John and Heidi Burbank are The Java Gypsies. 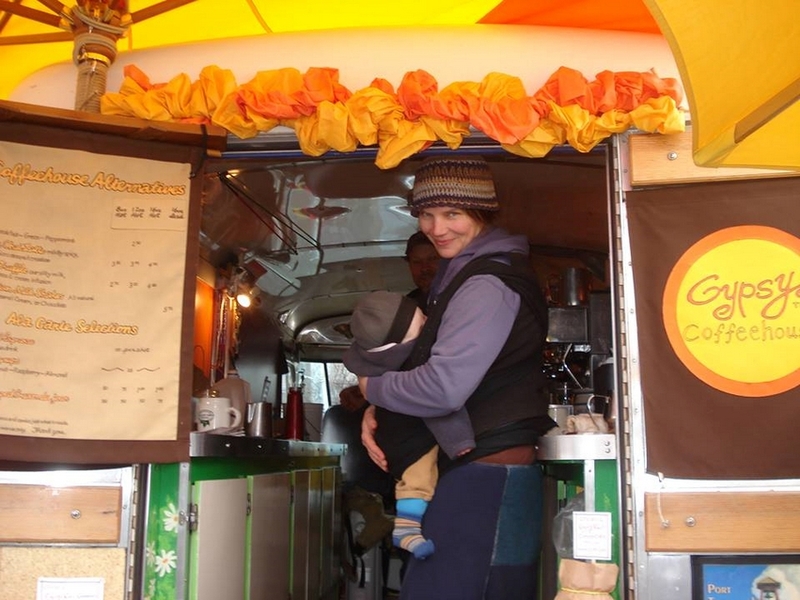 They own and operate the Java Gypsy Mobile Coffeehouse from a restored milk wagon. I got to know them in 2009, the first time at the festival for me. Their coffee wagon is about 25 yards from our West System booth and they provide vendors and guests alike perhaps the most valuable commodity at the show— caffeine! This is not just coffee; it’s tasty cappuccino or mochaccino. They have uncaffeinated choices including their signature Chai tea, but I need the fully leaded stuff! John and Heidi always have some great classic rock playing and I am a huge fan. We started talking about old music and I showed them my King Crimson compass rose tattoo and the rest, as they say, is history. They camp behind the Java Wagon for the weekend in their VW Microbus: perfect accommodations for this very friendly hippie couple. On the waterfront in the Seattle area and around “the Sound” the weather is consistently inconsistent. The festival takes place in early September because that’s normally when the area enjoys the best weather of the year. My friends who live in the area always have stories about days upon days of rain followed by weeks of drizzle. Michigan summers are outstanding by comparison, assuming the stories are not too exaggerated. This next photo was taken during the parade of ships. This inversion was stationary during the entire parade of ships. There was a stationary inversion during the entire parade of ships. I’m not sure I can definitively explain what’s going on here, but I think the warmer air is pouring down from the land, above the trees, and is getting funneled on top of the cool water. 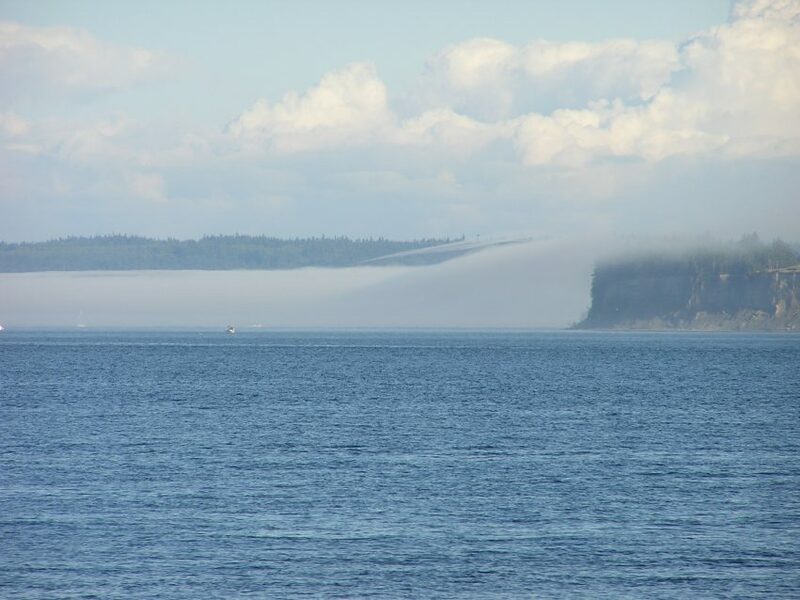 A blanket of warm air then holds the fog in this well-defined shape. Boats from the parade would sail out of sight into the fog blanket only to reappear when they tacked and headed back to the port area. For a valley dweller like myself, this phenomenon is breathtakingly beautiful. In 35 years of sailing the Great Lakes, I’ve never seen anything like it. The area boasts a large and active fleet of Thunderbird 26 plywood racer/cruisers. The 1958 design was the brainchild of Seattle naval architect Ben Seaborn. I’ll end my travelogue with a few final photos from the 2013 Wooden Boat Festival to try and capture the flavor of the event. 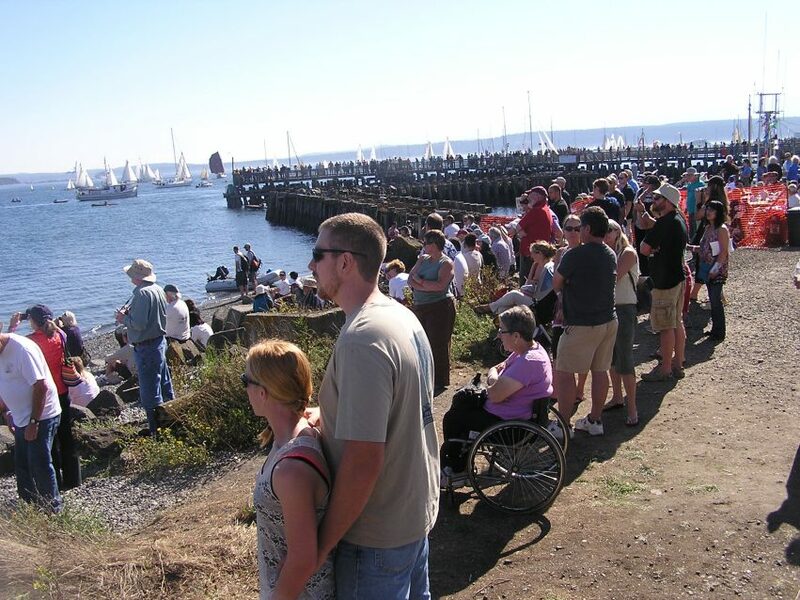 One last word of advice: if you plan to visit Port Townsend during the festival make your plans and reservations early. Hotel accommodations get booked early and they are not inexpensive. You won’t find a Motel 6 in Port Townsend or anywhere close. But if you ask me, it’s worth every penny! The parade always draws a big crowd. Note how nice and sunny it is, then remember the picture of the inversion.